This has to be one of my favorite series of all time. 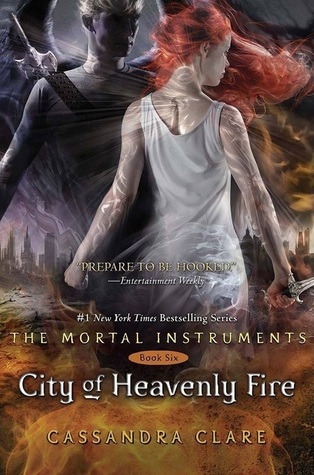 I loved the first three books and when I found out that Cassandra Clare had decided to write another three books I was so excited! This is the final book in The Mortal Instruments series and it was slightly daunting at a whopping 725 pages but the book is so good that you don’t even realize the length. I will miss this characters terribly but look forward to the spinoff series that Clare is writing! 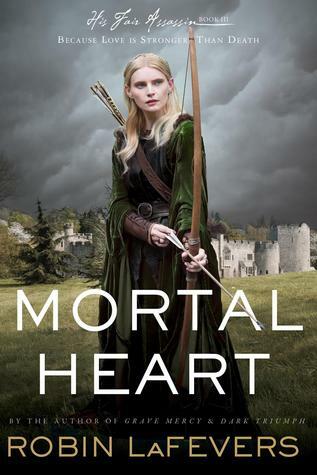 Another series finale, Mortal Heart started off a bit slow but picked up in the middle and turned out to be a fantastic final book in the His Fair Assassin series. 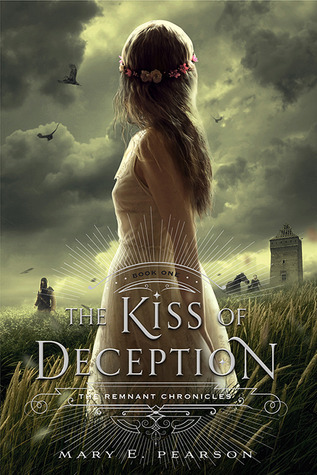 I loved reading about Annith, a character who has intrigued me since book one, and her story had even more twists and turns than the previous two. Review to come soon! 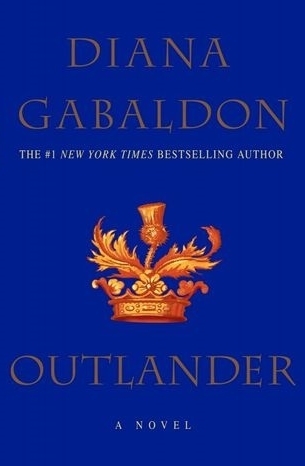 This is another one of my absolute favorite series, and it seems like each book gets better and better. 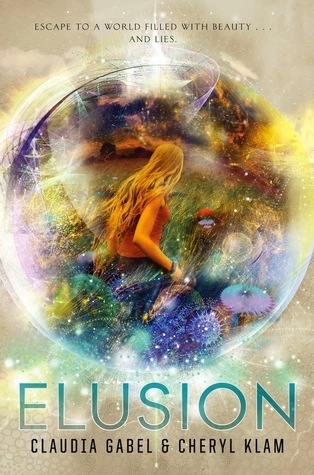 This is the third but not final book in the series, and will just leave you desperate for the next book to be released! 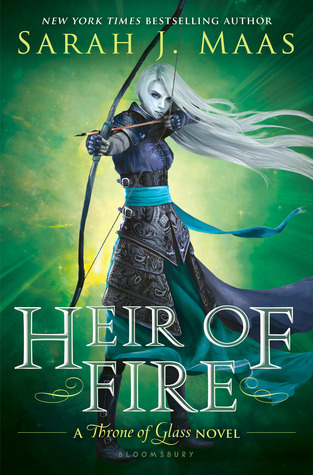 I will probably read anything that Sarah J. Maas writes because her writing is so phenomenal. This is the third book in this series and I am still just as interested if not more interested than I was after the first book. Each of these books is amazing and I am so glad I waited hours on line to get an ARC of this one at BEA. 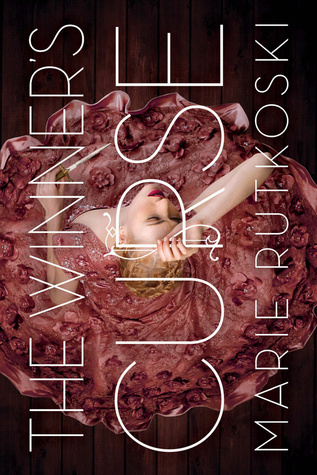 This book had amazing world building and an eerie plot about pregnancy and surrogacy. 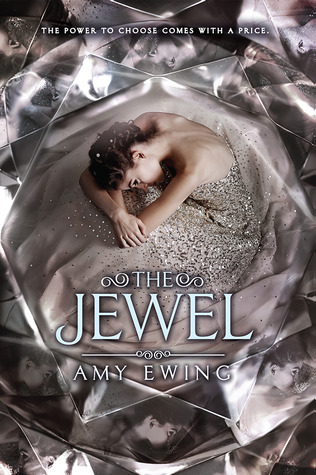 While the romance in the book was a bit of a flop, the book didn’t center around it but rather focused on the messed up world of the Jewel and it’s backstabbing royals. I’m anxious to read more about this world so I look forward to the next book. I loved the first two books in this trilogy and I couldn’t wait to see how it would end. I literally read this book in less than a day because I couldn’t wait to find out how everything would be wrapped up. 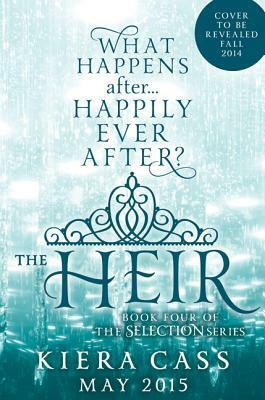 I’m so excited that Cass decided to write another book, The Heir, due out next spring! 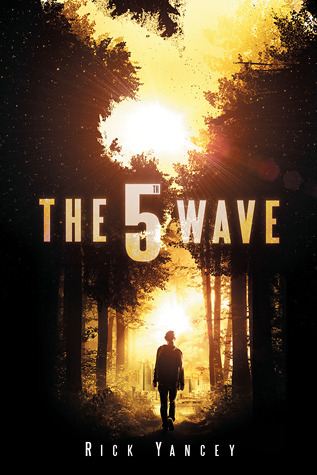 What I really loved about this book was the narration–it is told from three separate points of view, with a slight twist near the end that totally got me. Great start to a new series! Loved this book!! Beautiful world building and an incredible story. I couldn’t put this one down and after the ending I am anxiously awaiting the next book! 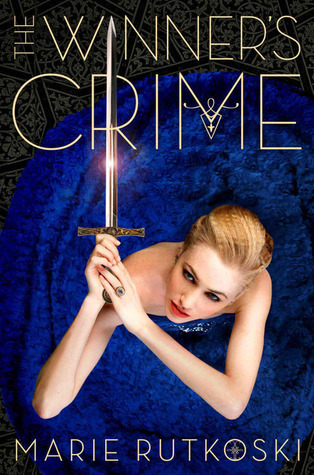 This is another series that gets better with each book. 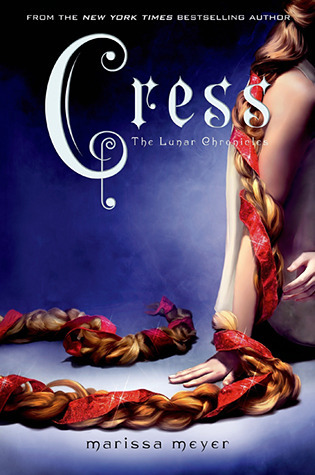 This book introduced Cress, whose story is a retelling of Rapunzel. 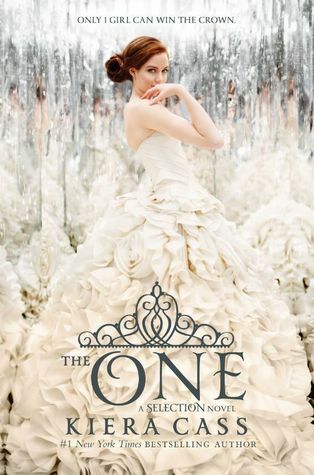 I loved her story and how it intertwined with Cinder’s and Scarlet’s stories. I just actually read this entire trilogy this year and I can’t believe I waited so long before reading it. 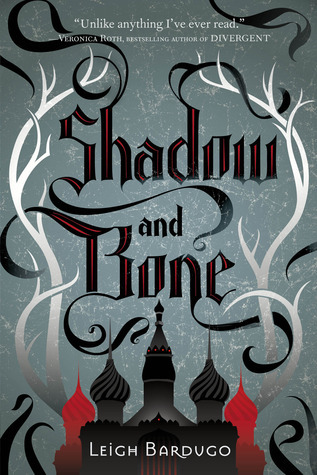 Mafi’s writing is gorgeous, and this book was SO GOOD!! I love the main character and how she became so strong from the first book to the final book. 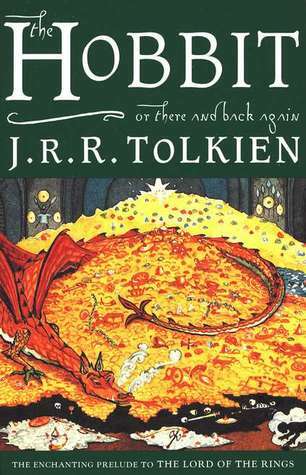 This is a series I could read over and over again! What were some of your favorite books from this year? Anything you missed that you wished you had read this year? Blue’s mother has gone missing. Things with The Raven Boys have gotten more serious, and relationships have begun to change. As Blue and the boys get closer and closer to finding Glendower, it becomes apparent that they are part of something much bigger than they had even imagined. Each of these books is better than the last! Stiefvater’s writing is phenomenal and I literally flew through this book because it was so good. I love all of these characters and I am so glad that there is another book coming because I am not ready to say goodbye to this series yet. Blue is juggling a lot in this book. Her mother is missing, she is falling in love with Gansey even though she is trying her hardest not to, and she has to go back to her high school where everything is “normal”. Her relationships with the boys, even Ronan, grow stronger as they get closer and closer to Glendower. I love how we learn more about each character as the books go on. I hated Ronan in the first book, but as I learn more about him it’s easier to understand him and I like him much more as a character. Blue and the boys finally decide to explore the cave in Cabeswater in hopes of finding Glendower’s resting place and finding Maura. This leads them on a series of adventures involving new characters and supernatural occurrences, and they begin to realize that this is no longer just a hunt for Glendower, but something much bigger that could be the difference between life and death. Overall, Blue Lily, Lily Blue was an amazing third book in The Raven Cycle. I was on the edge of my seat while reading this and I can’t wait for the next book! 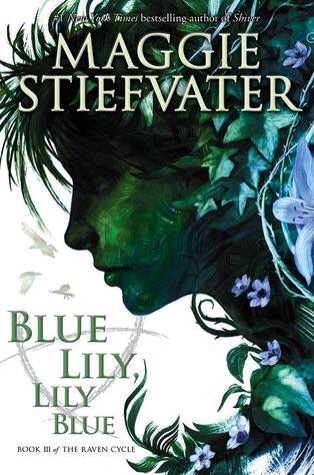 Blue Lily, Lily Blue was released on October 21, 2014 and is the third book in The Raven Cycle. Sabine has lived two lives for as long as she can remember. She lives each day and then switches at midnight to her other life where she lives the same day over as a different person. She has the same name in both lives and lives in the same area, yet has a completely different family and set of friends in each life. In one life, she her family is wealthy, yet Sabine has to fake her personality to stay with her crowd at school and please her parents. In the other life, she hates her parents and the fact that they are poor, but loves her little sister unconditionally. It had always seemed like a rule that if she got sick or injured in one life she would still be sick or injured in the other life when she switched over. 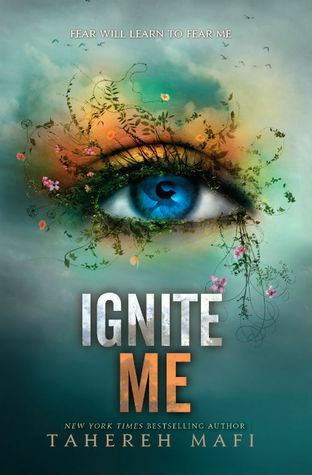 One day, when Sabine sprains her wrist in one life and her wrist remains perfectly fine in the other, she realizes that the rules might be changing and she may be able to pick one life to stay in once and for all. She begins to conduct experiments to determine if it would be possible to kill herself in one life and remain in the other. This book was really interesting! It reminded me of that movie Sliding Doors. Sabine is unhappy in both of her lives for different reasons. In one life she loves her sister but hates being poor and in the other life she loves her family’s wealth but hates her fake personality. When she realizes she may be able to pick one, it seems to her that the obvious answer would be the wealthy, privileged life, but she cannot bear the thought of never seeing her little sister again. 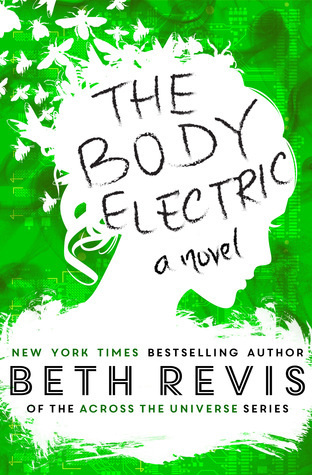 When Sabine meets Ethan in one life, he begins to seem like the only person who may be able to help her and the only one who she may be able to convince of her situation. He begins to help her to see the good things about each life, and that choosing between them might not be the best solution. Sabine begins to realize that her situation may be different, but that doesn’t necessarily make it bad. One Past Midnight was a great story that blended contemporary and science fiction genres. It was very well written and is actually a standalone novel! 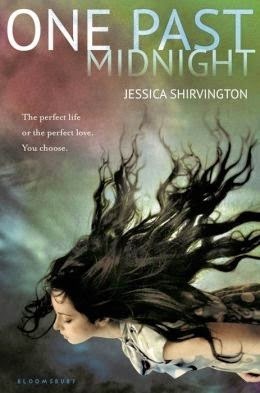 One Past Midnight was published May 1, 2013. Hey all! Sorry I’ve been a bit MIA for the past month, but I’ve been busy taking care of my gorgeous little newborn! That’s right–I’m a mommy! It’s still incredible to believe that my little baby girl is finally here. She was born on July 24th, so since then I’ve been basically nursing, changing diapers, and trying to get some sleep every now and then. 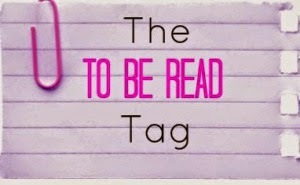 I did manage to read a few books so far but haven’t found the time to update the blog in awhile. I absolutely love being a mom though, and I am amazed at how in love I am with my little girl already. So obviously my posting is going to be less frequent than before, at least until she gets a little older. Right now she hates being put down so I’m basically carrying her all day which leaves me unable to type. Hopefully in the future things on the blog will get back to normal, but please bear with me in the meanwhile! Liz Emerson is one of the most popular girls in school, and from the outside it seems like she lives the perfect life. However, she secretly is suffering on the inside and is afraid to ask for help. Instead, she decides to leave her life entirely and plans to drive her car off the road and make it look like an accident. What she didn’t count on was that she wouldn’t be killed instantly, but would instead survive and be taken to the hospital in critical condition, where the doctors say the only way she will survive is if she wants to keep fighting to live. This was a really powerful story that reminded me a bit of Gayle Forman’s If I Stay. However in this story, Liz was purposely trying to kill herself, and instead of the story being told from her point of view it is actually told by a narrator who isn’t identified until the end of the book. The narration jumps back and forth between the narrator watching Liz’s friends and family in the days after the accident and flashbacks of what Liz’s life was like before the accident and how everything led up to that point. Liz’s father died when she was very young and her mother works a job that keeps her traveling most of the time so Liz spends most of her time alone. This is definitely a big factor contributing to her depression, and leads to her reckless behavior like drinking and driving erratically. It seems that Liz does things like that just to avoid being bored and alone with her own thoughts. What depresses Liz most of all is herself–she has an extreme case of self-loathing and feels that by killing herself she is making the world better. Liz’s hatred of herself comes from the way she treats people–she acts like a mean girl most of the time at school, messing up the lives of those who wrong her even in the slightest way, and then once she realizes how much she hurts people she regrets it and hates herself for what she has done. The sad thing is that you can see how much Liz is trying to hint that she needs help, especially during the last week of her life. Everyone is so consumed with their own lives or they think that because Liz is rich and popular her life is therefore perfect, and this blinds them to what is really going on. The only one who watches Liz and seems to care about getting to know the real Liz Emerson is Liam, a boy from a different crowd at school who is the first to see Liz’s accident and call the police. Overall, Falling into Place was a powerful story that was difficult to put down. I am still in awe of the fact that Amy Zhang is still a high school student and she was able to write this amazing book! 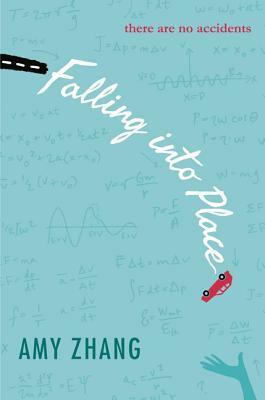 Falling into Place will be released on September 9, 2014.